On Windows and Mac OS X, the native print dialog is used, which means that some QWidget and QDialog properties set on the dialog won't be respected. 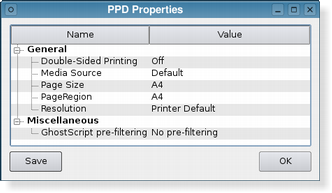 In addition, the native print dialog on Mac OS X does not support setting printer options, i.e. QAbstractPrintDialog::setEnabledOptions() and QAbstractPrintDialog::addEnabledOption() have no effect. 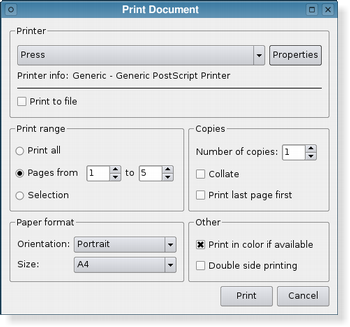 See also QPageSetupDialog, QPrinter, Pixelator Example, Order Form Example, Image Viewer Example, and Scribble Example.